If you’re managing your business in the health care sector, you’ve no doubt noticed that these are exciting times. 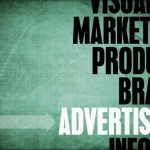 The industry has become dynamic, with numerous changes being ushered in by the growth of modern technology. Today’s innovators are working to make tomorrow’s health solutions faster, more responsive and ultimately more convenient for patients and medical professionals alike. There’s never been a more exciting time to work in health care. The rapid growth of new mobile, social and data-driven tools has turned the sector into an epicenter of creativity and forward progress. To that end, here are seven major health IT trends to watch during the rest of 2014 and the dawn of 2015. There are a number of trends to look out there, some readily apparent and others a little more subtle, but probably the most obvious thing happening right now is the sheer growth of the health care industry. This is something you can’t help but notice – there are more firms in the marketplace, putting out more goods and services. They’re doing everything from testing new drugs to releasing new mobile apps. The volume of data being generated in today’s tech climate is pretty staggering. Information Week recently estimated that in 2015 alone, the world will produce an amount of data equal to “120,000 times the total of all previously written words in history.” This sounds impossible, but with the rapid growth of the world’s computer tools, nothing is. The rapid growth of high-tech solutions and readily available data will only serve to accelerate innovation in the months and years to come. Health care firms are eager to discover new ways to engage with people and motivate them to care about their condition. If someone already has a given disease or disorder and needs treatment, that’s one thing, but the health industry has bigger ambitions – it’s about connecting with new consumers even if they’re young and active and ostensibly in relatively good health. This is where gamification becomes a major factor. People love playing games on their devices, especially those that are addictive and interactive. So if companies can turn health into a game – for example, a contest that gauges people’s progress with diet or exercise or weight loss – they’re more likely to reel in consumers and keep them interested. Information Week notes that Nintendo is one example of an enterprise that’s already had success in this area, as its “Wii Fit Plus” system is a popular choice for people looking to make health more fun. The news source notes that the Wii gaming platform exploits the natural tendency of human beings to improve their cognitive skills and change their behavior patterns when engaged with a fun activity. Thanks to the rise of modern high-tech solutions such as cloud data, mobile devices and the like, it’s easier than ever for doctors, nurses and other medical professionals to attend to patients without even needing to be in the same room. The growth of “telehealth,” as it’s called, will be a major factor to watch as we head into 2015. People in today’s world are always interested in getting better personalized service, and the rise of mobile health can help make that possible. What if you can take people’s medical care out of the hospital bed and move it into the home? Patients would be tremendously appreciative, and physicians would also appreciate the flexibility and convenience. Well, soon enough, this will be more than a ambitious dream. Mobile tech is turning this into a reality. When people have questions or concerns about their health, they don’t just want to ask their doctors – they also want to mine the Internet and their own personal connections for as many opinions as possible. For this reason, it should come as no surprise that health-specific social networking sites are becoming a popular option in 2014. People appreciate having the power to log on, connect with their peers and learn more about vital aspects of their health. Information Week explains that such technology enables patients to play a more active role in their own care. Rather than sit back and wait for doctors to treat them, people are able to share information and collaborate with like-minded individuals. This helps them build relationships and ultimately become better educated about the health care process. “Big data” is a business buzzword that’s rapidly sweeping the globe in 2014. It doesn’t matter if you work in retail, or finance, or any other industry, you can’t get away from those two words. In health care specifically, the analytics trend is an interesting one, because data is becoming more open and individual citizens are getting better access to critical information. Becker’s Hospital Review recently noted that a number of key elements are now becoming available online. Easy access to electronic health records and medical decision support tools is now fairly common, and some health care providers are even advocating for open-source interfaces that allow people to take control of their own health. Data is growing, and it’s also branching out to let everyone in on the process. The cloud is another big trend in business today, and experts have speculated all along that in the medical field, 2014 is a big year in cloud adoption. 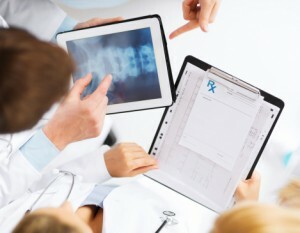 According to Health Care IT News, providers are turning to the cloud this year because they now see the technology as “a scalable, secure way to access and store data and HIT applications.” This is something that can benefit health care providers, doctors, nurses and patients alike – with flexibility and access to data, everyone can remain better informed and make smarter decisions than ever before. 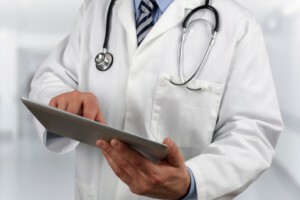 Many of the health IT trends we’re discussing are interconnected, and the cloud is a perfect example of that. Thanks to the rise of the cloud, patients and doctors can now tap into a great many other innovative tech solutions – mobile applications, remote care and other options are now more feasible thanks to the flexibility the cloud brings to the table. Of course, whenever you’re embracing the cloud and storing more of your data online, you need to worry about the security of that data, and health care is by no means immune to that. In fact, health is one of the primary areas where people’s private information is in danger. Recent research from Experian indicates that 46 percent of all data breaches in 2013 were involving health care data, and that figure is only expected to rise as more and more health information becomes accessible online. It’s vital that everyone involved in the health care process – from individual people, to their hospitals, to their insurance companies – remains vigilant about keeping data safe. There’s hope that 2014 will be a year of progress on this front. At the very least, more is being done to increase awareness of the issue, and moreover, today’s tech innovators are hard at work trying to make tomorrow’s data more secure. As health care technology continues to improve, the future will only become brighter for patients everywhere. How have you contributed to this revolution? 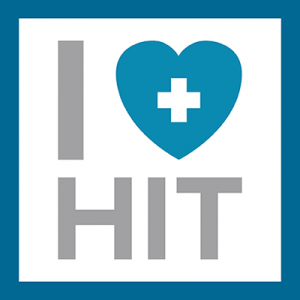 September 15th-19th is National Health IT Week (#NHITWeek), a week that assembles key healthcare constituents dedicated to working together to elevate the necessity of advancing health through the best use of information technology. With over 400 partners including Cox Business, #NHITWeek brings this important cause to the forefront of the nation’s attention through local and regional events hosted by National Health IT Week Partners. You can follow this weeks activities on Google+, Facebook, Twitter and LinkedIn.